Compared to the series of rebel raids in the winter of 1838, summer was quiet along the border. Other than the ineffectual Short Hills raid and Bill Johnston's mischief, Upper and Lower Canada faced no serious threats. Farmers, by far the largest faction of the rebel armies, needed to stay close to their crops. But, as harvest season approached, the Hunters Lodge and Robert Nelson's Patriotes began to plan new campaigns, for soon the farmers would be free to march. Since its founding in May of 1838, the Hunters Lodge had accumulated at least 20,000 members—they bragged they had 200,000. In just a few months, they achieved a significant level of political influence, with many prominent politicians as members. They had gathered money ($150,000 or more) and large stores of arms, some stolen and some purchased. In September 16-22, 160 Hunters held a convention in Cleveland, Ohio, to pick new leaders for the coming attacks on Canada that fall and to lay the groundwork for their financial arm, the Republican Bank of Canada. Many of the big names in the Patriot and Hunter organizations attended, as did many ambitious, new leaders. Bill Johnston forsook his island refuge for Cleveland's bustling streets. Donald McLeod joined him, likely seeing Bill for the first time since the burning of the Sir Robert Peel. Also present were Patriot stalwarts Dr. Charles Duncombe and General Henry S. Handy, plus representatives of Patriote leader Robert Nelson. No one invited William Lyon Mackenzie, the man who started it all. 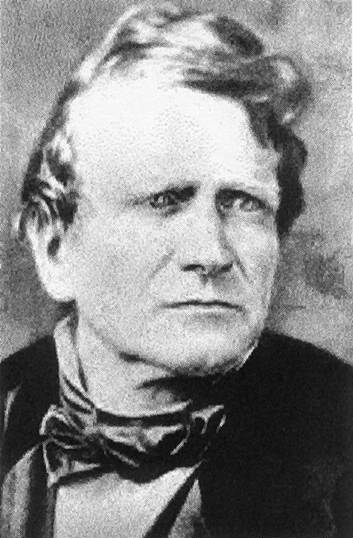 The convention elected Abram Daniel Smith (1811-June 4th, 1865) as president of the provisional government. 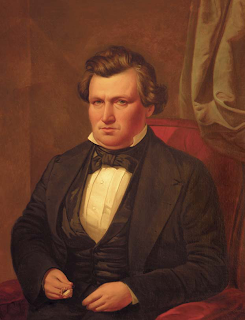 In 1836, Smith settled his family in Cleveland, Ohio, and won a position on the city council. Like many politicians, he gravitated towards the new and influential Hunters Lodge, where he quickly gained prominence. Had the Hunters succeeded in overthrowing the British in Canada, Canada's first independent leader would have been named Smith, not Macdonald. Following the failure of the Hunters, Smith moved to Milwaukee, Wisconsin. Smith formed a law firm and was later elected to the state Supreme Court. In 1854, he presided over a case that struck a blow against slavery. Federal marshals arrested an escaped slave living in Wisconsin, Joshua Glover, under the US Fugitive Slave Act. They intended to return him to his master. Abolitionist Sherman Booth broke Glover from jail and spirited him away. Booth was arrested for aiding a fugitive slave and his case came before Smith, who eventually ruled the US act was unconstitutional. Note: All Hunter documents listed him just as A. D. Smith. Ruth Dunley, in her article "In Search of A. D. Smith, A Detective's Quest," in the Wisconsin Magazine of History, volume 89, number 2, winter 2005-2006, made the connection between the Hunter leader and the man who latter became an influential jurist. At the Cleveland convention, Connecticut-born Lucius Verus Bierce (August 4, 1801-November 11, 1870), a brigadier general in Ohio militia from Akron, Ohio, beat out General Handy to become top commander of the Hunter army. Bierce served the Hunters without distinction for two years. Bierce served multiple terms as mayor and one as Ohio state senator, while also becoming a Grand Master of the Ohio Masons. Though in his 60s, he joined the Union army in 1863 as a major and served two years in the Civil War. The convention reaffirmed Bill Johnston as commodore of the navy in the St. Lawrence River and Lake Ontario. Gilman Appleby, the captain of the ill-fated Caroline, became commodore of the navy on Lake Erie. Donald McLeod became secretary of war. Bernard Bagley, Johnston's lawyer friend, became vice-president of the new bank. (The bank's notes were to bear the faces of Patriot martyrs: Samuel Lount, Peter Mathews, and James Moreau.) The British spies at the convention reported the events to their masters. Hunter leaders began planning for simultaneous attacks at Windsor and Gananoque in November. Robert Nelson also picked November for his next assault on Lower Canada. More on the life of A. D. Smith.